Disclosure: I receive monetary compensation from General Mills in exchange of my endorsement of Box Tops For Education. Well it’s that time of year!! You can’t walk into any store without school supplies smacking you in the face as you walk in. It’s August and depending on how your summer is going you’re either ready to set your children out on the curb so that you can legally have someone drive off with them (because they are driving you nuts) or you’ve just managed to get into the swing of summer and really don’t want to get back to the hustle and bustle. I’m a mixture of both. I enjoy the summer with my kids, but they have moments that make me question my sanity. Regardless, those displays are there to prepare us for what’s to come. What better way to get prepared than a trip to your local Costco! Save yourself the headache of grocery shopping for snacks, breakfast foods, and lunchbox items when you can buy them in bulk at Costco. Put out a little at a time and hide the rest, pulling them out as you need them. Yes, you will need a membership, but the convenience of not having to continuously visit the store is worth it. Moms don’t have enough hours in the day, days in a week, etc. You get my point. These kids eat like it’s a full-time job. We may as well do ourselves a favor and buy in bulk to save time. Not only does this save time, it helps support your child’s school. 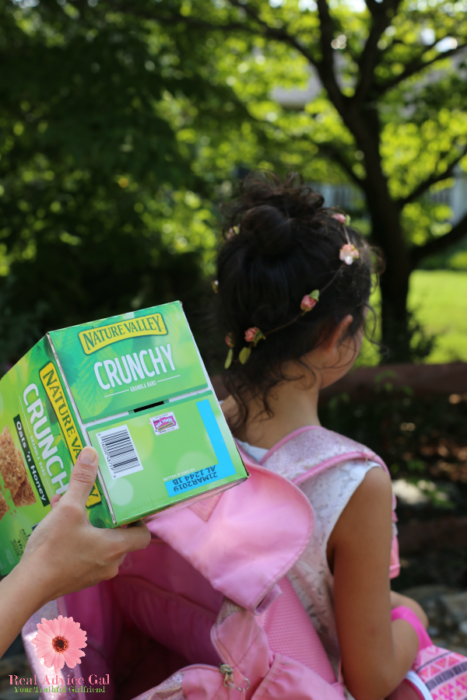 See with each participating General Mills product you get Box Tops for Education that you can cut out to give to your child’s school. 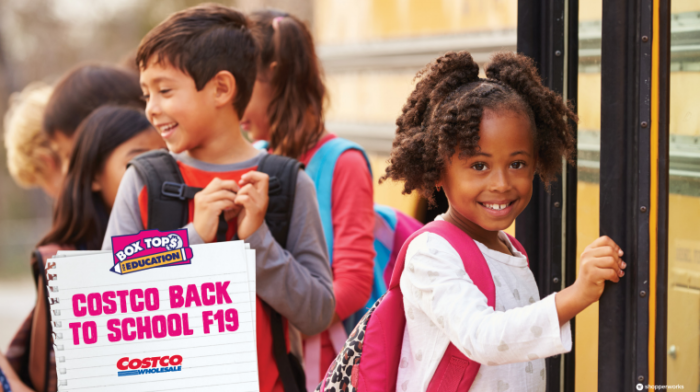 For a limited time only there will be 8 Total Box Tops on-pack for a limited time at Costco! Each Box Top is worth 10 cents and with the wide variety of General Mills products you will really be able to contribute to child’s school in AMAZING ways. I know this because I was the coordinator for children’s school at one point. I saw there was a need for extra funds in my children’s school and becoming the coordinator for the school was one way that I could contribute to the school without too much extra time since I was working full-time. I could drop off materials and pick up Box Tops when I dropped my children off and picked them up. I saw that teachers were buying things out of their own pockets, which is typical of teachers, but being a teacher myself I just didn’t like it. So even though I was busy with my own classroom, my kids, my house and life, this was a way I could get people to contribute almost effortlessly to benefit the school and teachers who make an impact on my child’s life daily. When everyone participates 10 cents can really add up to BIG DOLLAR$! Get your children in the habit of looking for them when recycling the boxes. Have a special space where you put your Box Tops. I keep mine in a canister where it’s easily accessible. My kids know where they go if they find some. 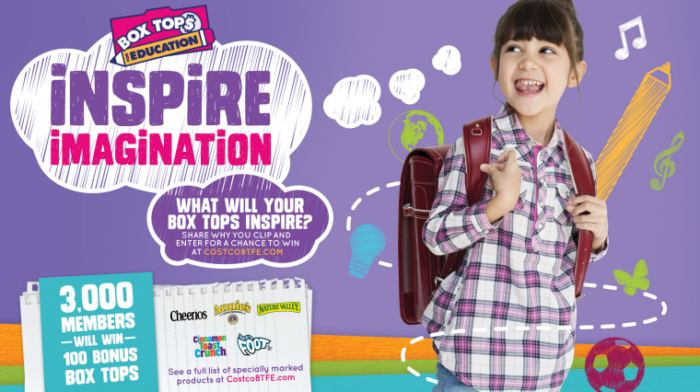 What Will Your Box Tops Inspire? Costco is giving away 100 Box Tops to 3000 members! This is a great opportunity for you to earn extra box tops for your school. 3. 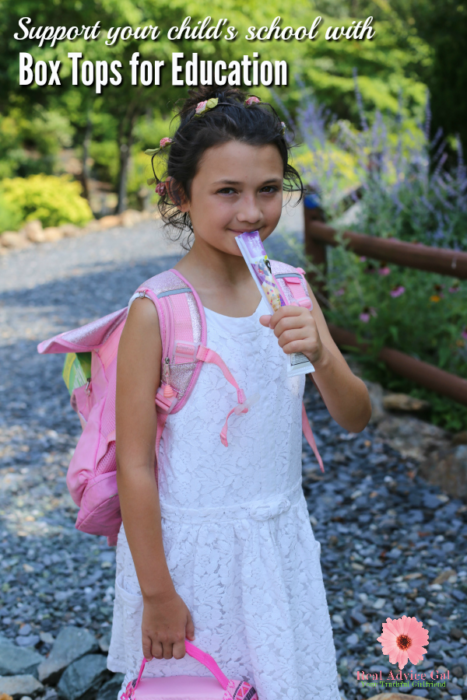 Share your story on why you clip Box Tops and what the Box Tops you clip inspires in kids. Rules: NO PURCHASE NECESSARY. A PURCHASE WILL NOT INCREASE YOUR CHANCES OF WINNING. GAME OPEN ONLY TO LEGAL RESIDENTS OF THE FIFTY (50) UNITED STATES AND D.C. WHO ARE 18+ WHO ARE MEMBERS OF BOXTOPS4EDUCATION.COM AND HAVE DESIGNATED A SCHOOL TO SUPPORT AT TIME OF ENTRY. MEMBERSHIP TO BOXTOPS4EDUCATION.COM IS FREE AND AVAILABLE AT BOXTOPS4EDUCATION.COM. VOID WHERE PROHIBITED BY LAW. Online instant win game starts 7/16/18 at 12:00 a.m. ET & ends 9/10/18 at 11:59 p.m. ET. For Official Rules, prize descriptions and odds disclosure, visit www.CostcoBTFE.com. Sponsor: General Mills Sales, Inc., One General Mills Blvd, Minneapolis, MN 55426. If you have an interest in becoming a coordinator for your school, the website BoxTops4Education.com has tons of ideas to help you get started. As a coordinator I wrapped boxes in bright pink wrapping paper, put the Box Tops for Education logo all over it, cut a hole in the top and placed these in central locations in the school. When parents know where to put them, they are more likely to save them and turn them in. Plus, the bright pink color was a reminder to students that they needed to bring them in because they KNOW they had them sitting at home!! The great part about saving and turning in Box Tops is that you are technically participating in a fundraiser for your child’s school, but you don’t have to sell anything or feel any pressure of keeping up with items. Nor do you have to hunt people down when items come in. No wrapping paper or candy. You can get other people to help you participate and by helping you save them. As a school, you can create a competition where you have classes compete to see who earns the most money in Box Tops earning a reward or maybe you might display some sort of trophy or “spirit stick” until the next competition. 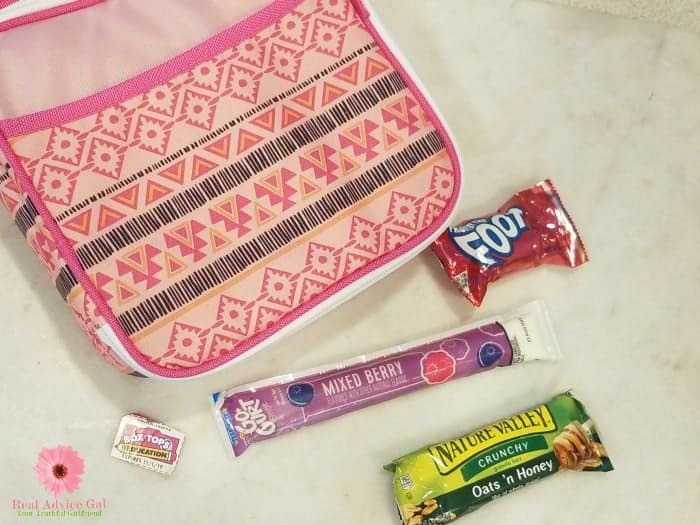 Since Box Tops are turned in twice a year, classes could compete twice a year, having multiple opportunities to earn the trophy or “spirit stick”. Classes could earn rewards like a movie day (in the classroom) or early to recess and early to lunch privileges. Box Tops will allow the school to earn money for things that they need while you feed your family which is a win-win! The first check our school got was right around $500. That can go a long way. It was a welcome and much needed bonus for the teachers who wanted to buy materials for projects they planned to do in class. This money didn’t come out of the teacher’s pocket and parents didn’t have to donate money or purchase items. I’m glad that I could be instrumental in starting the Box Tops for Education at the school because it really is making a difference in the classroom. The best part is Costco has a wide variety of General Mills products that kids love with Box Tops for Education like Honey Nut Cheerios, Nature’s Valley Granola Bars, and Yoplait GoGurts to name a few. 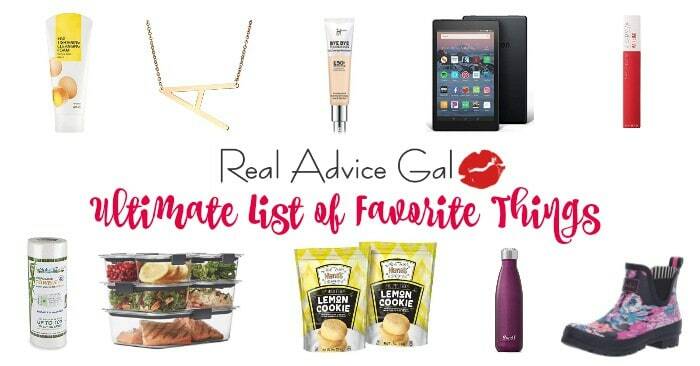 You will have plenty of food for breakfast, lunch, and snacks for after school. Also, it’s worth noting that many children often go hungry and it is very difficult to learn when your tummy is growling. 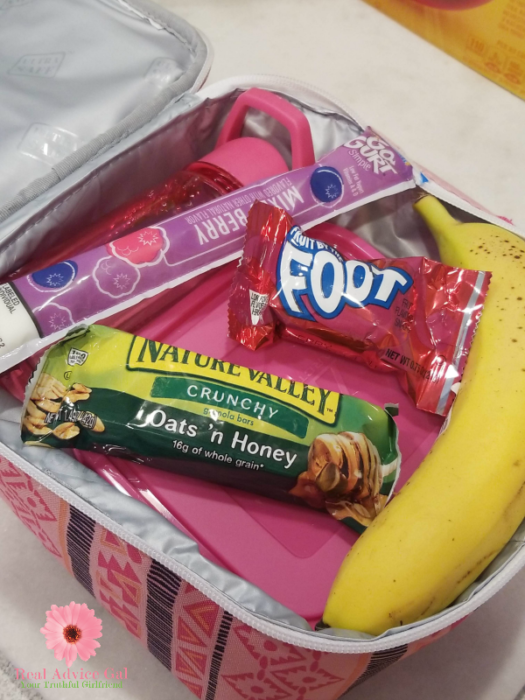 These snacks make a great donation to classrooms to help teachers give to students when they come to school without a snack whether they may have forgotten or cannot afford it. Teachers give enough of their own money on school supplies for their classrooms. Happy tummies, happy kids, and happy teachers will inevitably lead to happy parents! So even though it’s still hot enough to fry an egg outside head on over to your local Costco and stock up because soon enough you’ll be sticking them out by the curb to catch the big yellow bus and they will need the fuel to power through another year! Don’t forget to look for the bright pink Box Tops for Education on participating General Mills products!